With fast progresses in instrumentation, image processing algorithms, and computational resources, single particle electron cryo-microscopy (cryo-EM) 3-D reconstruction of icosahedral viruses has now reached near-atomic resolutions (3–4 Å). With comparable resolutions and more predictable outcomes, cryo-EM is now considered a preferred method over X-ray crystallography for determination of atomic structure of icosahedral viruses. At near-atomic resolutions, all-atom models or backbone models can be reliably built that allow residue level understanding of viral assembly and conformational changes among different stages of viral life cycle. With the developments of asymmetric reconstruction, it is now possible to visualize the complete structure of a complex virus with not only its icosahedral shell but also its multiple non-icosahedral structural features. 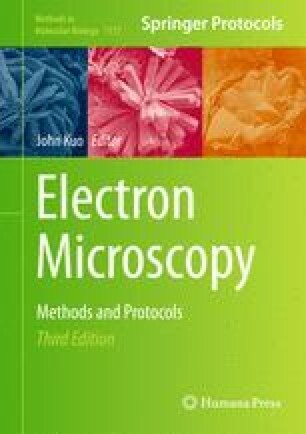 In this chapter, we will describe single particle cryo-EM experimental and computational procedures for both near-atomic resolution reconstruction of icosahedral viruses and asymmetric reconstruction of viruses with both icosahedral and non-icosahedral structure components. Procedures for rigorous validation of the reconstructions and resolution evaluations using truly independent de novo initial models and refinements are also introduced. We thank Dr. Philips Sewer for providing the T7 capsid I sample used as examples in the figures. We also thank Dr. Agustin Avila-Sakar and Mr. Frank Vago for suggestions to the manuscript. The research has been supported by NIH.